$25 can help reduce illegal poaching and trade of live tigers and tiger parts. Tigers are one of the world's most endangered species, with as few as 3,890 left in the wild. By adopting '​Merapi​' the tiger, you will make a real difference to the wild tiger's chance of survival. You will be helping to protect vital habitat, step up our anti-poaching efforts and monitor tiger populations. ​Merapi​ is a ​Malayan​ tiger​ and he resides in one of the oldest rainforests in the world called Belum Temengor Forest Reserve in Malaysia. Located in Malaysia, this park is also home to wildlife such as the Asiatic elephants, Malaysian Sunbears amongst many others. Merapi represents all the endangered tigers we help. 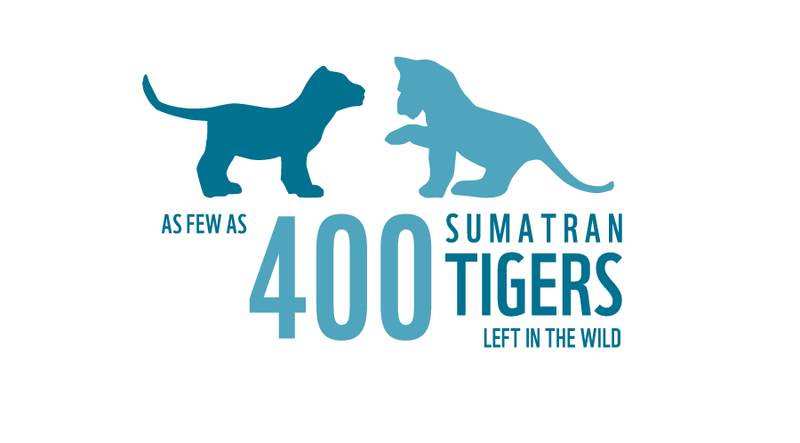 All our tiger adopters 'adopt' Merapi so that we can share ongoing tiger conservation stories with you. We hope that by following our conservation progress, you can experience the challenges and successes involved in conserving this most charismatic of big cats. Adopting Merapi makes the perfect gift - with a cuddly toy tiger and special adoption gift pack including adoption certificate. You can choose for this gift pack to be sent directly to the recipient or you can receive it to give to them yourself. You will get regular updates, an adoption certificate & a tiger key chain! With your help, we aim to double the number of Tigers by 2022. We work in 13 tiger-range countries to establish protected habitats, fight for the conservation of landscapes and tangible laws against poaching.